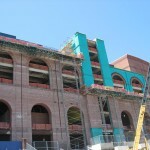 Once completed, fans were overheard saying “now it looks like the largest stadium in the country.” The new brick exterior is timeless and follows University tradition. It contains 1.89 million brick hand laid by local masons and one feature everyone comments on – The arches. 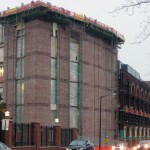 Leidal & Hart Mason Contractors spent over a year on pre-construction planning for this project. The original design contained some very sophisticated details that were complicated, expensive and labor intensive. 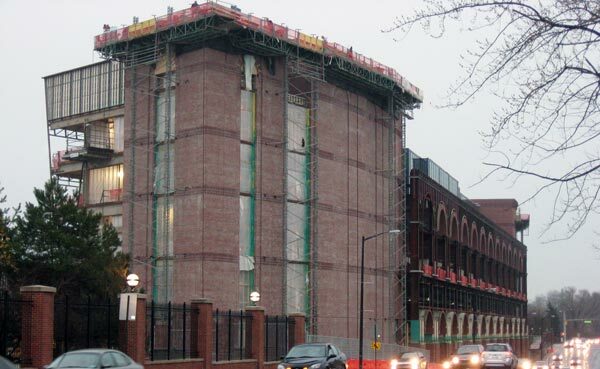 Additionally, the site on the corner of Stadium and Main was tight and logistically challenging for staging the brick and equipment. 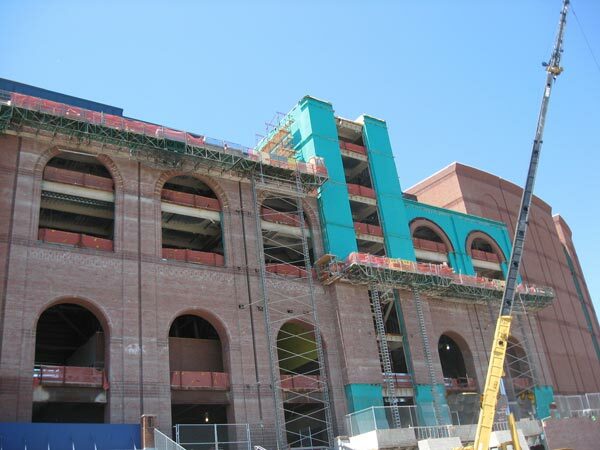 Leidal & Hart engineered the arches to achieve the end result aesthetically – by prefabricating them. The prefabricated concrete arch system with inlayed brick, in lieu of a conventionally built-in-place arch design, generated a proposed savings of $1.0M for both east and west arcades (all 50 arches).